Individual ink tank is designed for use with PIXMA iP1600, iP1700, iP1800, iP6210D, iP6220D, iP6310D, MP140, MP150, MP160, MP170, MP180, MP210, MP450, MP460, MP470, MX300 and MX310. Creates long-lasting, beautiful photos when used with genuine Canon photo paper. FINE (Full-Photolithography Inkjet Nozzle Engineering) printhead provides exceptional sharpness and detail. 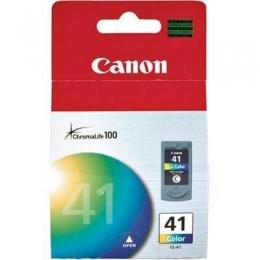 Optimized for photographic print quality when used with genuine Canon photo papers. Offers convenient and easy installation and ink remaining notification technology. Genuine Canon ink for quality and reliability.